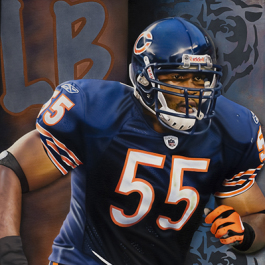 Snowed In – This football painting was Inspired by Gary Reasons #55 Middle Linebacker of the New York Giants. 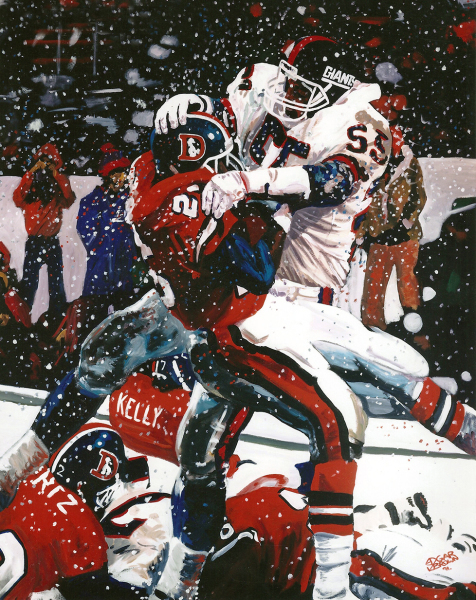 1989 in the snow in Denver it was 4th and Goal for the Broncos from maybe a yard out, Elway hands off to Bobby Humphrey. 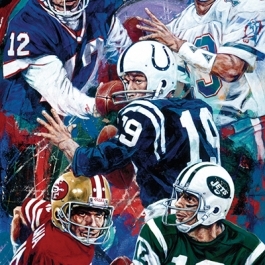 Gary Reasons emerges from out of the snowstorm and stuffs Humphrey, securing a New York Giants victory. 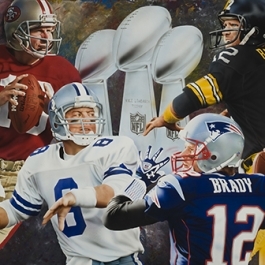 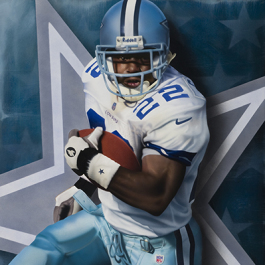 This fine art piece is a great addition to any man cave or sports art collector’s favorite piece of NFL memorabilia.